Green veggies are an important part of many cleanse programs. But you don’t need to eat like a rabbit. We are surrounded by toxins: pesticides, car exhaust, cosmetics, disinfectants, medications, heavy metals, and thousands of other chemicals you’d be hard pressed to identify, let alone pronounce. Then there are the toxins we produce naturally: hormone excesses, metabolic wastes, and the byproducts of normal metabolism. On any given day, they’re not enough to kill you. But they take a toll. Internal cleansing is one of the most time-honored concepts in traditional medicine. Periods of cleansing are central to Ayurvedic (Indian) medicine, Native American medicine, traditional European and South American herbalism, and to most religious faiths too (all those ritual fasts and sweat lodges). Yet cleansing is a concept we’ve mostly discarded in this age of quick-cure pharmaceuticals. The benefits of a cleanse can range from the barely noticeable to the downright profound. You may experience increased energy, a feeling of “lightness,” clearer skin, and increased mental clarity. Chronic conditions like constipation, indigestion, acne, high cholesterol, PMS or menopausal symptoms, asthma and allergies may improve or even disappear. You may come out craving healthier foods, refreshed in your commitment to exercise and go to sleep earlier. Or you may not. The benefits are often surprising. A former coworker of mine had a tiny, wart-like growth on his forearm for seven years. No big deal, I guess. But it went away during his first cleanse. So what is a “cleanse, anyways? A cleanse is something to lighten the body’s load of toxins, and decongest the organs of detoxification. There are thousands of ways to approach this. (This article won’t even try and cover them all). Spring is a great time for a cleanse. Most of us emerge from winter carrying a few extra pounds. We’ve been eating heavier, fattier foods. We’ve been breathing stale, indoor air. We’ve been sedentary. And then there’s that first exhalation of Spring! The snow melts, and the sun shines, and those cleansing green leafy vegetables poke their heads out of the soil and unfurl their leaves. For our ancestors, the spring thaw marked the transition from meat and potatoes and stale wrinkled turnips to cleansing, live foods. Springtime is the time of rebirth and renewal, nutritionally, biologically, psychologically, and spiritually. 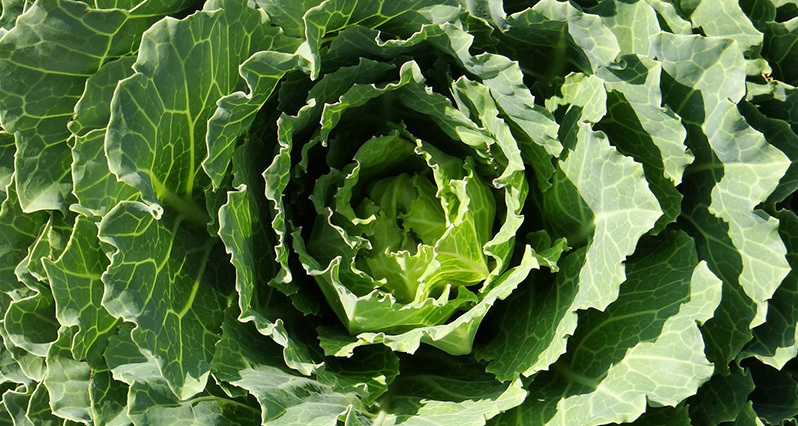 A good first step on a cleanse is to bring those fresh leafy vegetables into your diet. Look for sprouts, dandelion and beet greens, baby lettuces, sorrel, wheat grass, endive, cress, fresh parsley and cilantro. Bring the bitter taste to the center of the plate. Green drinks (“salad in a bottle”) make a great addition. Radishes are excellent, as are beets and artichokes, onions and garlic. Cultured veggies like traditional sauerkraut and kimchee are especially valuable, with probiotics & their metabolites, and plenty of digestive enzymes. Try a spoonful with meals. Don’t forget to buy organic. Avoid foods which are hard to digest. Bologna and potato chips — even the natural ones — are out, as well as large amounts of nuts, dairy, and soyfoods. Fermented dairy, like yogurt, kefir, and lassi; and fermented soy like miso and tempeh, should be fine for most people. Nuts that are soaked and sprouted are more digestible. Eat as much of your food raw as you can. Cut back on or eliminate coffee and alcohol. Lean meat and poultry are fine on a cleanse. Fish is good. Sushi is excellent as a highly digestible simple protein. Eggs are good, too. The lecithin in the yolks supports a cleanse by emulsifying fatty wastes for elimination. there’s research where it increases the liver’s detoxification potential. Ask us for our newsletter article on whey with the smoothie recipe. Whole grains should be strongly prioritized over refined ones. Here, “whole” doesn’t just mean “unrefined,” but also “intact” — not ground into flour. Also, it would be wise to minimize all grains that contain gluten for the time being. If you soak your grains overnight before cooking, even better. Dress them simply with raw, unrefined oil, and fresh lemon juice, cider vinegar, or raw plum vinegar. Get a bit of seaweed in, for its ability to bind heavy metals. A pinch here and there adds a pleasant briny, savory flavor to dishes. Plenty of liquids are an absolute must. Look to mineral water (as opposed to “pure” water), and broths. Non-stimulant herbal teas are wonderful, too (although a little green tea with caffeine won’t wreck your cleanse). Unpasteurized vegetable and fruit juices may also be used, but you should watch the sugar content. For example, while fresh beet juice is an excellent cleanser, it might exacerbate an underlying candida overgrowth or blood sugar imbalance. Perhaps the simplest way to cleanse is to keep on eating what you normally do, and use one of the cleanse kits we sell. These kits contain herbs and nutrients which assist the binding of toxins, and stimulate the organs of detoxification. The most important organ in detoxification is the liver. The liver filters toxins out of the blood, neutralizes them, and excretes them. It balances hormones and manages cholesterol. It has a hand in processing just about everything that comes through the body. Good cleanse kits stimulate the liver, not just to detoxify the blood, but to detoxify itself. The liver dumps its toxins out with the bile, into the small intestine. As we all know, the small intestine leads to the large intestine (colon), which in turn leads to the outside world. The problem is, the intestines are also where we absorb our nutrients from, and toxins that don’t make it out efficiently can get reabsorbed right back into the blood. Then they have to make a pass through the liver again… and again. This put a strain on the liver, and worsen any side effects of the detox. Most cleanse kits add “colon cleansers” to help. Usually, this is a polite euphemism for “laxatives.” Don’t worry: we’re not talking violent cathartics here. You won’t need to chain yourself to the toilet if you keep the dosing sane. (Although if you’re looking for an herbal cleanse free of laxatives, the Spring & Fall Tonic from Avena Botanicals fits the bill nicely). Fiber is crucial here. It helps move things along, and sequesters toxins while escorting them out of the body. A diet rich in vegetables and whole grains should provide plenty of fiber, but if you’re looking to supplement, use a mix of soluble and insoluble fiber. Soluble fiber absorbs toxins (like a sponge), and insoluble fiber scrubs things through (like a brush). All this also has a direct effect on the intestines themselves. The intestinal tract is a winding, convoluted passageway, packed with crevices and pockets which can trap putrefying debris. Cleansing here helps us absorb our nutrients better, stay regular, and possibly reduces the risk of serious disease. Most cleanse kits also throw in a few herbs that stir up the lymph and stimulate the kidneys. That’s another big topic. But let’s not. Let me just say it again: the beauty of the kits is you don’t have to put too much thought into it. Just buy the kit, do what it says. Probiotics play an important rule during, and after, a cleanse. These healthy gut bacteria are crucial to detox and elimination, as well as immunity and digestion. A detox diet fosters the growth of probiotic bacteria, while fermented foods introduce new probiotics into the gut. Beyond that, probiotic supplements are a good idea. If you use strong colon cleansers or supplements to kill parasites, you should definitely supplement with probiotics during and for two weeks afterwards. Fasting Cleanses aren’t always the best idea, since the liver needs nutrients, the probiotics need to be fed, and the gut needs fiber to keep everything moving. That being said, fasting is okay for otherwise healthy people. It doesn’t make the most sense, medically, but it can resonate spiritually. Modified fasts are worth considering. A little protein, some steamed veggies, a multivitamin, plenty of water and broths, a fiber supplement — you can fully support detoxification on a few 100 calories a day. It might be tempting to break a fast with a full-out binge. Don’t! It can leave your digestion cramped and unhappy. Try to ease back with nourishing, easy-to-digest foods. Here, nothing beats a little sushi. The traditional stuff: just fish, rice, and seaweed. Physical detox methods wax and wane in popularity. The current fad seems to be detox foot pads, which are supposed to pull toxins out through the soles of the feet. I’m highly skeptical of these. On the other hand, a deep massage can release toxins. There’s also a lot to be said for saunas. The skin is a major detox organ if we sweat. A cup or two of sarsaparilla pushes the sweat. Stay hydrated if you’re sweating a lot. Sometimes, cleansing makes you feel worse… until you start feeling better. Toxins that were just “sitting there” get released into the circulation, and overload the body’s ability to comfortably deal with them. So you end up with are the same symptoms a cleanse is supposed to address. For example, when I’ve done a cleanse, I’ve gotten forehead pimples (nothing serious) for a few days. Others may feel achy or tired. If this gets to be a problem, it usually means the cleanse is working, but you can ease off the herbs a bit. Other than these vague “feeling bad” symptoms, are there any other side effects/dangers of a cleanse? A “food cleanse” with leafy greens and the whole grains is pretty safe, obviously. A mainstream cleanse kit is also unlikely to create problems. You of course want to be careful around laxatives. You might want to be cautious with herbs that push hepatic detox if you’re on a medication with a narrow therapeutic window, and around diuretics if you have issues with kidney function. What if I want to go into more depth? Optimal Wellness by Ralph Golan is an excellent resource for the chapters on “The Toxic Bowel,” “The Sluggish Liver,” and “Fasting, Cleansing, Rejuvenation.” It’s out of print, but we’ve got a copy you can leaf through in the store. What about other ways of cleansing? Cleansing means different things to different people. There are many valid approaches besides what I’m talking about here. A former coworker would eat only brown rice, and drink unpasteurized fruit and vegetable juices. Jonathan Glass, the acupuncturist who works above the store, leads people through nine-week programs, with foods, herbs, and semi-customized protocols for each client. Some cleanses start each day with a vitamin- and mineral-enriched protein powder (brand names include UltraClear and RevitalX); others insist on only steamed vegetables before noon. I knew someone who swore by 2,000 mg of vitamin C and a tablespoon of aloe vera juice every waking hour for a week. However you approach it, cleansing can be a wonderful experience — especially when you’re done! It may be tempting, however, to keep on cleansing and cleansing, to feel better and better. Cleansing is not something to do non-stop for the rest of your life. A food-based cleanse is one thing, but if you’re bringing the herbs into it, give your body a rest. Ultimately, there has to be a balance between building and cleansing, anabolic and catabolic, contraction and expansion, yin and yang.